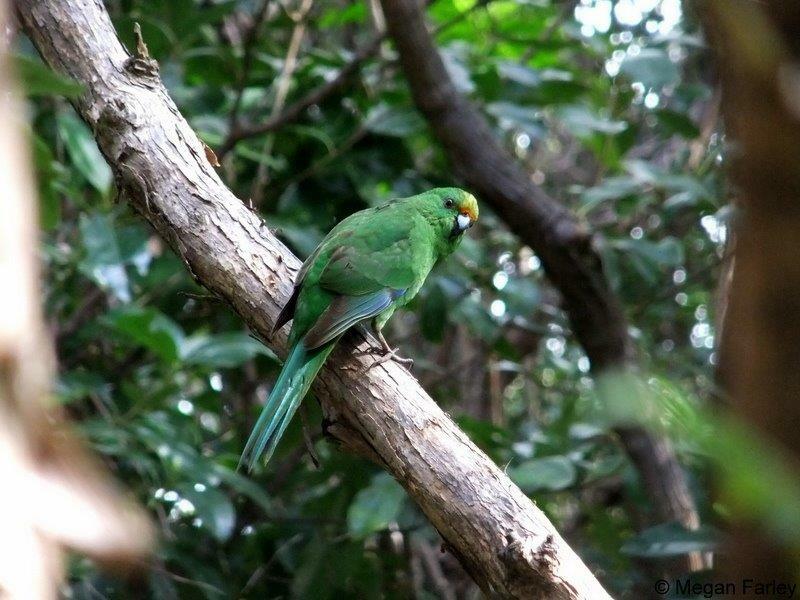 I recently travelled to Blumine Island in the Marlborough Sounds to carry out the biennial monitoring of the island’s orange-fronted parakeet/kākāriki karaka population. This is the second time these counts have been undertaken since the orange-fronted parakeets were first released to the island in late 2011. 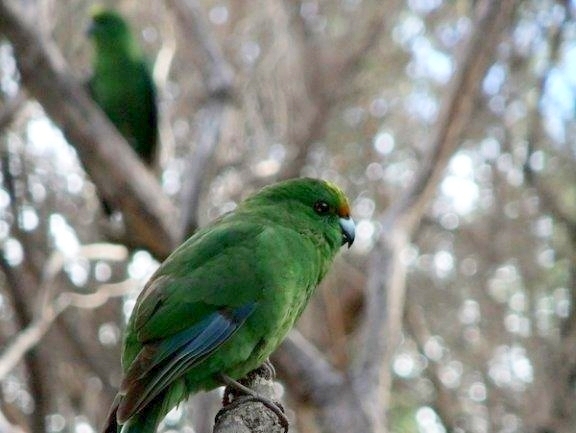 During this recent monitoring, 13 orange fronted parakeets were detected, using the official count method. All these birds were un-banded, meaning they were born on the island. This indicates these nationally endangered parakeets are flourishing and breeding on the island. From 2011—2012, 61 banded orange-fronted parakeets have been released to Blumine Island, after being bred in captivity at The Isaacs Conservation and Wildlife Trust. On the mainland, these parakeets have a high risk of predation, as they are cavity tree nesters—making them easy targets for stoats, rats and possums. Only left in low numbers in three beech forest valleys in Arthur’s Pass National Park and Lake Sumner Forest Park, the fact they are breeding successfully on the predator free Blumine Island is a huge boost for the population. The orange-fronted parakeets found on Blumine were mostly located in the beech forest stands near the summit of the island, where the parakeets were seen feeding on sooty mould and honeydew present on the beech trees. 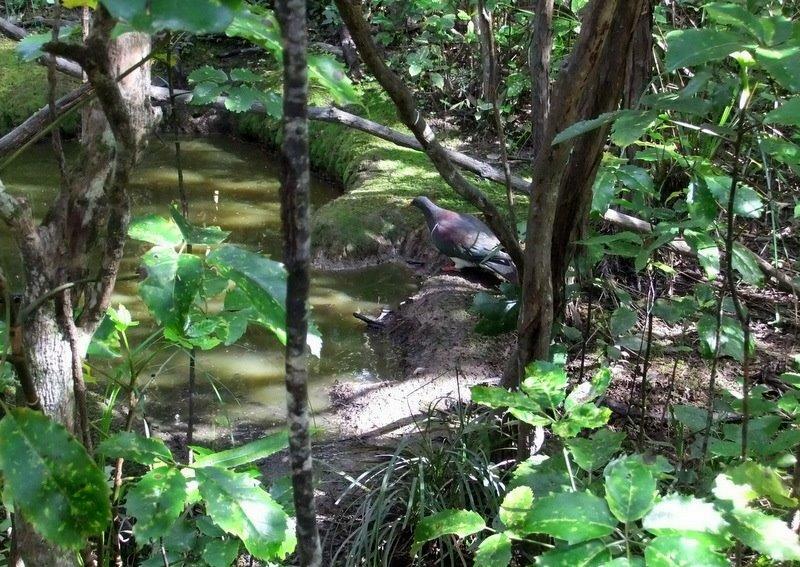 Those parakeets that weren’t feeding were queuing for a chance to drink at the popular watering hole frequented by most of the bird species on the island, including the boss weka, a very nervous kererū, and a multitude of silvereyes, tui and bellbirds. For your best opportunity to see an orange-fronted parakeet in the wild, Blumine Island is highly recommended. You should prepare for a hike though, as the parakeets prefer the beech forest at the highest point on the island—almost 300 metres above sea level. For those who prefer a more sedate stroll, there is a resident pair of orange-fronted parakeets that frequent the Blumine Island / Oruawairua campsite on the island. For more field updates from the orange-fronted parakeet team visit Team OFP: Save NZ’s orange-fronted parakeet on Facebook. 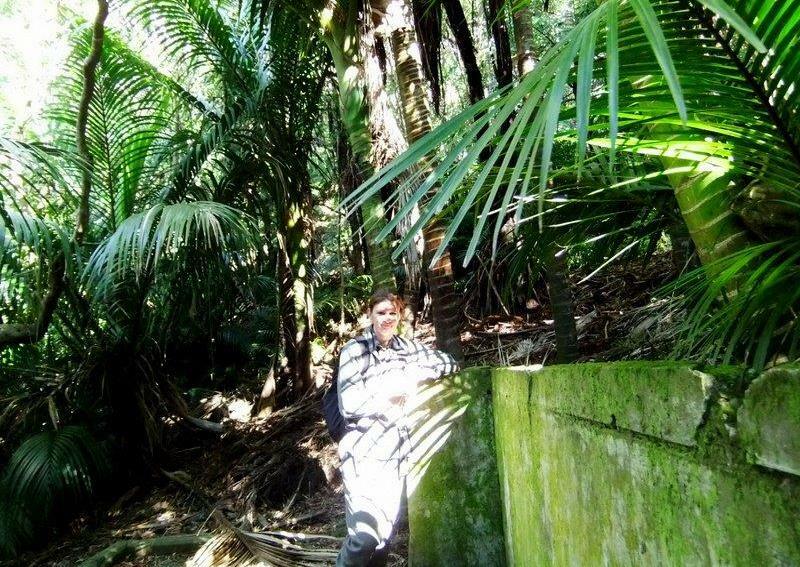 Great informative article and good to see an ex-student involved in the conservation of possibly our most threatened endemic forest bird species.Well done Megan! Hi there. Excellent article. 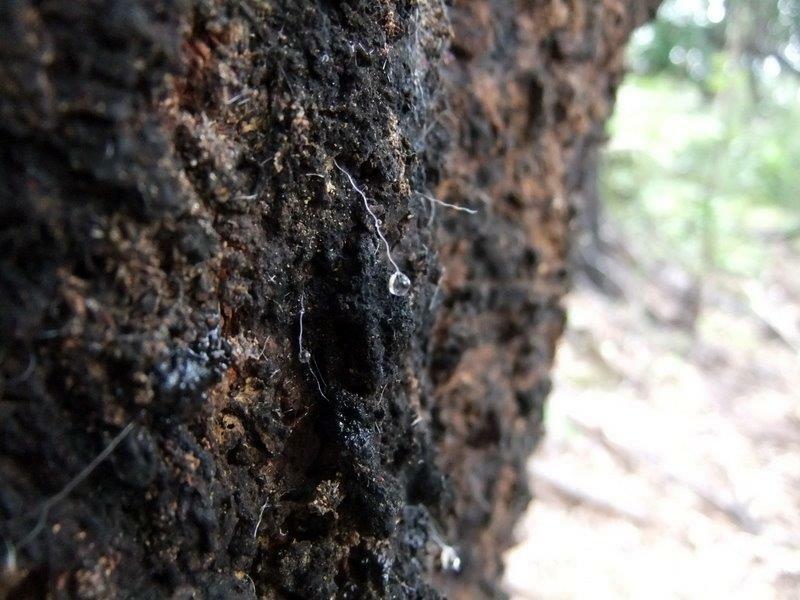 Is Blumine Island predator free?